Thanks for your e-mail I am interested and ready to volunteer. Hope what is expected of us are explain and I start to contribute positively. Last Edit: 17 Apr 2018 09:15 by secretariat. Thanks for your email inviting us to contribute to SusanA. 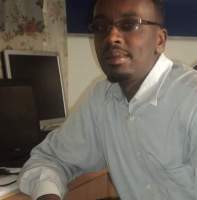 My background is finance and I head an NGO that is involved in implementation of WASH activities (Nairobi, Kenya). I will be happy to be involved in doing publications and supporting events. 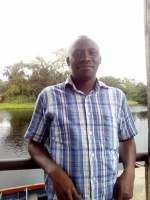 My name is Ntiamoah Agyei Evans, from Ghana Environmental Community, an NGO in Ghana. 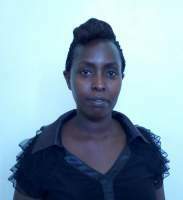 I have an academic background in Environmental Science with keen interest in Water and Sanitation. Currently volunteering as Research and Projects Coordinator at Ghana Environmental Community, I have professional experience in Food Safety /Quality Management Systems at a beverage producing company here in Ghana where I double as an ambassador for MyGreenIQ. I believe 'Policy Issues and Advocacy' is the work stream to harness my skills if given the opportunity. I am also ready to be nurtured into a talent to drive the ambition of WG5 members. I have adept skills in Research development, Data analysis and web content management. This is an awesome opportunity for me to learn more from experts and contribute to the success story of WG5 members and SuSanA. Last Edit: 17 Apr 2018 09:14 by secretariat. Many thanks for this email and the initiative. I do not know if and how much time I can involve in the WG5, but I am definitely interested to continue the discussion. Looking to the topics outlined below, I think that an involvement in policy issues and advocacy could be doable. Capacity building might be an option as well, but all of this needs to be discussed in more details before taking a decision. Thank you for the email. This is Girija from CDD Society, Bengaluru, India. First of all, I would like to thank you for the initiative taken by the team, really a very good approach to bring all the related expertise in one platform. I have done my Post-Graduation diploma in Agri-business & Plantation Management and Graduation in agricultural Sciences. Possess over 7 years of work experience ? Effective implementation of *Sustainable agricultural practices, Recycling of nutrients, Reuse of waste water and human waste in agriculture, Solid waste management, *technical guidance on agricultural productivity enhancement and Ecological health monitoring, back end operation in Agriculture sector. Presented the topics related to sanitation and agriculture in conferences and workshops and published papers in the related field (Food security and Sanitation). Currently associated with *Consortium for DEWATS Dissemination (CDD) Society* for facilitating the implementation, monitoring and evaluation of projects related to ? Agriculture, Sanitation and Nutrition Nexus?. The main objective of the interventions is to address sanitation and agricultural issues by closing nutrition loop. This includes safe nutrient recovery from wastewater, faecal sludge, ecosan products and the mitigation measures for reuse. Publications: curate up-to-date lists of relevant publications related to WG5 topic (perhaps once or twice a year), support the identification of potential ideas and contributing authors for WG5-related publications and provide feedback on new WG5-related publications (e.g. review). Last Edit: 17 Apr 2018 10:10 by secretariat. Thank you for the initiative . I shall be able to help out on the following. - Policy issues and advocacy: raise awareness and advocate on various policy processes and issues related to WG5 . Last Edit: 18 Apr 2018 09:08 by secretariat. I will be happy to be involved this initiative. I'm Henriette from ECOlaTRINE - and we follow a closed-loop waste to value product solution. Our strengths are project management and combining specific sanitation and waste management applications (solutions) to specific needs. The successful "waste to value product application" (compost and biogas) creates employment for women, and buy-in from communities. We enjoy working in informal settlements and rural areas in South Africa and are happy to share our expertise in other Sub-Saharan countries. Let us know where we can be of assistance. - Forum moderation: moderating and initiating discussions linked to the WG5 topic. My name is Taiwo Temidayo and am honored to be a part of the team of co-leads for Working Group 5. Am a GIS Professional and I hope to be of immense help while also sharing expertise, knowledge and experience with other great minds. Looking forward to more info on this subject matter.